First they supplanted secretaries, factory workers and store clerks. Now robots are setting their sensors on one of the world’s oldest jobs: herding sheep. 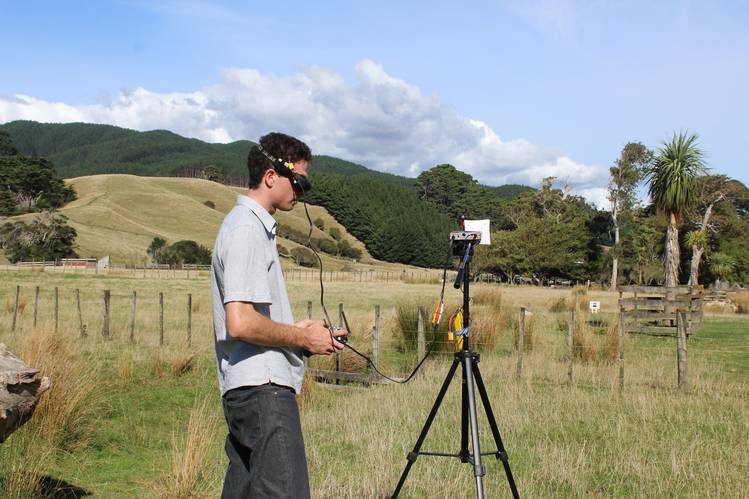 Michael Thomson says his homemade drone is the fastest way to move the roughly 1,000 sheep on his sister’s spread in Dannevirke, New Zealand, to greener pastures. Workers on the 200-acre ranch typically have used horses or all-terrain vehicles to herd the animals and check on their condition. Those all are tasks his quadcopter, a helicopter with four rotors, can do in a fraction of the time, says Mr. Thomson, 22 years old. Tech-savvy livestock farmers from the Australian Outback to the Irish countryside are starting to use drones as a relatively cheap alternative to the cowboy and the sheepdog. Camera-wielding copters that can be bought off-the-shelf for as little as $500 can cover hilly terrain quickly, finding and guiding sheep and cattle while the rancher operates remotely—sometimes wearing goggles that show the drone’s perspective. The experiments of early adopters like Mr. Thomson offer new hope to roboticists who have been working for at least two decades on using machines to herd livestock. Scientists at the University of Oxford and other U.K. universities launched the “Robot Sheepdog Project” in 1995, and developed a box-size device that could chase a dozen ducks to one place in an enclosed area. More recently, researchers in the U.K. and Sweden attached tracking devices to sheep and a sheepdog to collect data on their movements and comprehend the science behind the dogs’ herding success. And researchers in Australia currently are building a four-wheel robot that can pursue cattle at walking pace to calm the cows’ nerves. In South Carolina, farmer Scott Hunt said when he received a drone for Christmas, he tried it on his 20 cows. “They thought it was a huge horsefly,” he said. Others envision drones in more serious roles. Farmers in the U.S. and elsewhere are flying sensor-equipped drones over their crops to gather data on the plants’ size and health. And ranchers are using unmanned aircraft to count livestock, locate animals scattered across large properties and even spot which cattle are sick or in heat using thermal sensors. In the Scottish Highlands, agricultural policies are leading farmers to keep fewer sheep on larger tracts of land, making the animals harder to find and causing some shepherds to walk many miles a day, according to researchers at Harper Adams University in Shropshire, England. Harper Adams engineers have tried developing drones that can automatically spot sheep and round them up. They considered using thermal sensors to spot the sheep, but opted instead to put red targets on their backs. In the Australian Outback, many ranches use helicopters to herd cattle that roam areas of up to 1 million acres. Jack Hurley, one of those pilots, says he knows drones will replace him once their battery life improves, so he is trying to build such a device today. Of course, man has long employed other helpers to guard and herd livestock. Around 30 B.C., Horace, the ancient Roman poet, called dogs “the shepherd’s dangerous friends.” Human beings have bred dogs over centuries to create more specialized herders or guards for their livestock, and there are now more than 70 breeds of herding dogs, including the Australian Stumpy Tail Cattle Dog, the Hairy Mouth Heeler, and the Rough Collie—the breed exemplified by the dog Lassie. Some might wonder: What’s wrong with the canine? Dogs aren’t expensive to keep and they are definitely better company than drones. Academics working on robotic herders say their work has a higher purpose than furthering automation: People and dogs stress out livestock, while robots can mean calmer, happier animals.